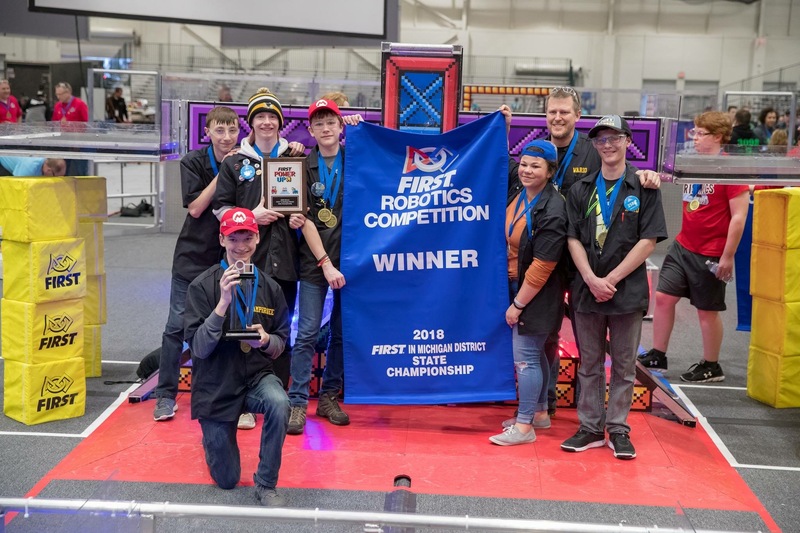 This is the official website of FRC Team 2586 the Calumet CopperBots, the 2018 FIRST in Michigan District State Champions. Please look around at our site, and keep checking back often, because we are adding new features all of the time! 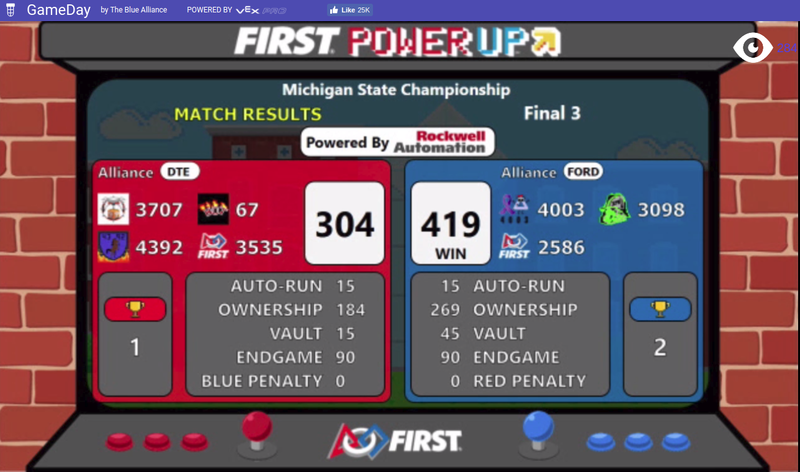 Also, check out our Facebook page by clicking on the Facebook logo in the header or watch us in action at the Michigan State Championship from April 10th to April 14th and our game matches going back all the way to 2008 by visiting our page on The Blue Alliance. We are the northernmost FIRST Robotics team in Michigan. 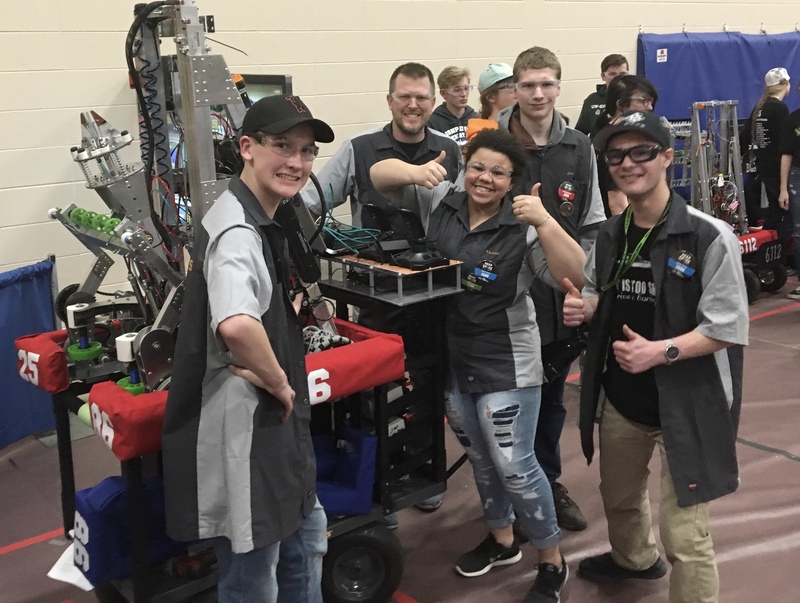 The CopperBots are going into the Michigan State Championship ranked 130th out of 542 teams in Michigan with 74 District points, about 7 points clear of the cutoff. At the Kingsford District Event, the CopperBots ranked 14th with a qualifications record of 7 wins and 5 losses. We were picked 10th as the second pick by the 7th alliance. 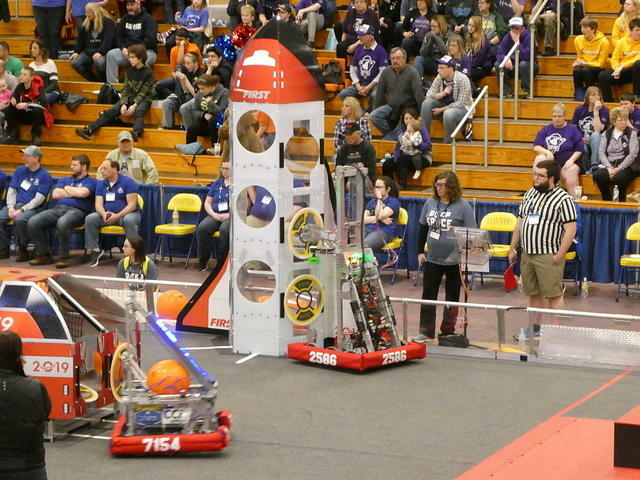 Excellent defense by our alliance partners 6079 “JET SET” pushed us to the victory over the 2nd alliance. In the semifinals, however, our alliance was defeated by the eventual event winning 3rd alliance. Our team also earned the prestigious Engineering Inspiration Award. At the LSSU District Event, the CopperBots ranked 12th with a qualifications record of 5 wins, 5 losses, and 2 ties. Mechanical issues caused us to sit dead for our first 3 matches, but after that we didn’t miss another match. The 3rd alliance chose us as their second pick, the 14th overall pick. A deadly combo of the deadly offense of the Escanaba RoboMos (3602) and the level 3 climb of the Wolverine Circuit Breakers (7782) from Rock propelled us to two smooth wins in quarterfinals, but a bevy of mechanical issues on our alliance caused us to be knocked out in semis by the 7th alliance. Our team won the Creativity Award sponsored by Xerox. At the Michigan State Championship, we were placed in the Consumers Energy Division. 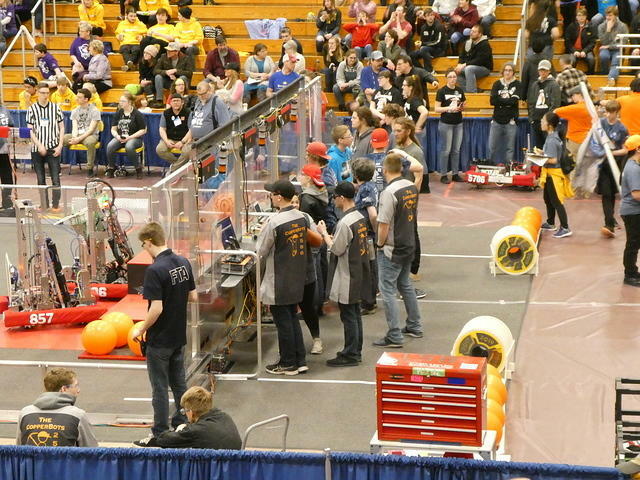 The CopperBots ranked 26th with a qualifications record of 5 wins and 7 losses. 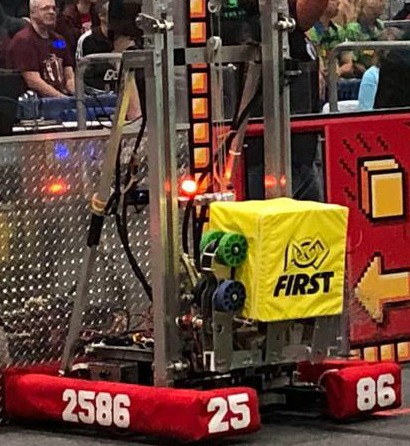 Battery issues and an untimely faceplant caused us to essentially sit out two matches, which effectively ended our chances at getting into eliminations. We came up just short of reaching the world championships this year, but we learned a lot and we all are looking forward to next year. Thanks to all of our supporters for an awesome year!